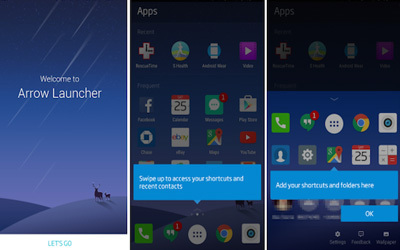 Previous version Microsoft Arrow Launcher 3.5.0.33864 apk for Android will help you to downgrade or install older app easily. This is one of the best Personalization apps. Notes! New card that allows you to easily jot down some notes, with image support. Android for Work apps support. New feature: create app shortcuts. Password protection option for hidden apps — more secure than ever.